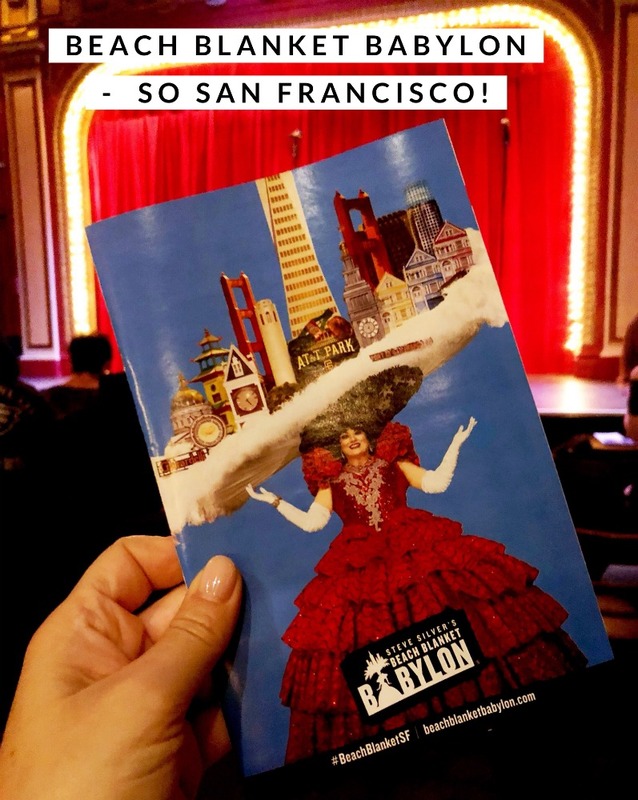 Beach Blanket Babylon – So San Francisco! Beach Blanket Babylon is a San Francisco icon. In fact, if you ask anyone in San Francisco about the show, they’ll all give it rave reviews. Many of the people I spoke to had seen Beach Blanket Babylon multiple times and now I’ve seen the show I can understand why, this is such an entertaining night out, you can’t help but want a repeat performance. 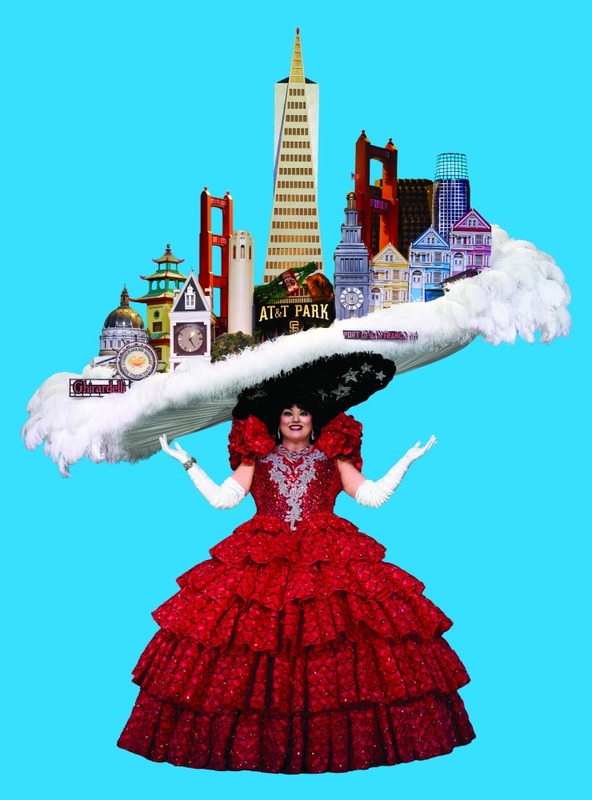 In fact, upon finding out I was going to San Francisco, my friend Heather was quite insistent that we get tickets to Beach Blanket Babylon, hailing it the best show she’s ever seen, which is a big call as she’s seen quite a few. Heather wasn’t wrong, of course. 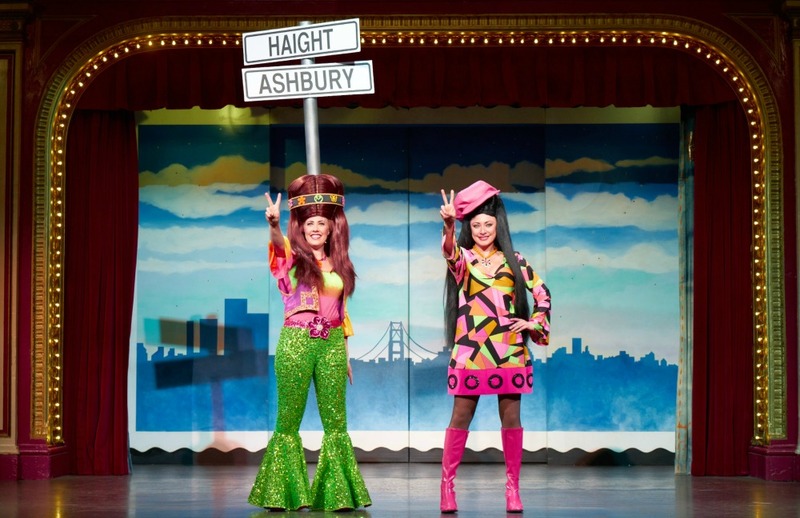 This hilarious pop cultural musical revue is an absolute delight and it’s only in San Francisco, baby! The show was created by Steve Silver whose street performances in the early seventies started to draw crowds in the hundreds. 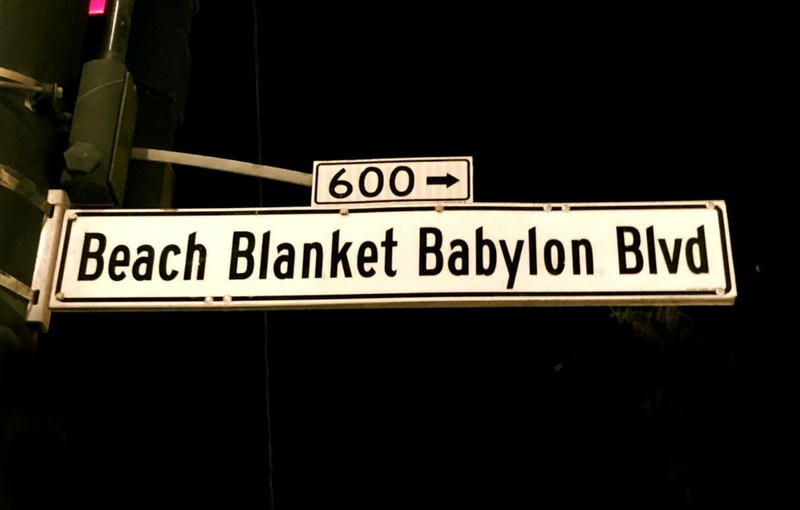 When the police arrived after a performance, Steve moved his revue indoors to the Savoy Tivoli in North Beach and renamed the show Beach Blanket Babylon. That was on June 7, 1974. There were 214 seats crammed into the tiny space that night —the floor was covered with two tons of sand; a lifeguard tore tickets at the door and sprayed the backs of people’s hands with sun lotion. For $2.50, audience members got a 45-minute show with four main performers, a chorus line of hula-dancing middle-aged housewives doing card stunts, a band dressed as poodles, one lighting man on top of a lifeguard stand manipulating coffee can lights, and a whole lot of laughs. The show was to run for six weeks. 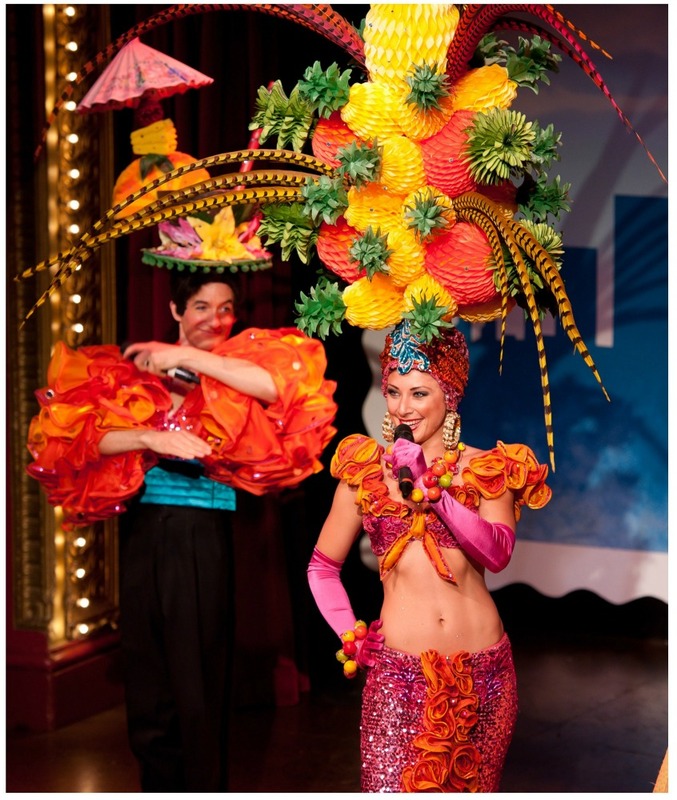 Forty four years later, Beach Blanket Babylon is the world’s longest musical revue and has racked up over 16,000 performances that have been seen by more than 6 million people from all over town and all around the world (including me!) The venue may have changed, the show is a lot longer, the tickets are a bit pricier (that’s inflation for ya!) and although you won’t find any sand, lifeguards or sun-lotion, the show is still as popular and hilarious as ever. These days you can see the show in the comfort of Club Fugazi in the heart of San Francisco’s North Beach and you can expect to see more characters, better sets and the show’s trademark, totally outrageous enormohats. Truly, they have to be seen to be believed! 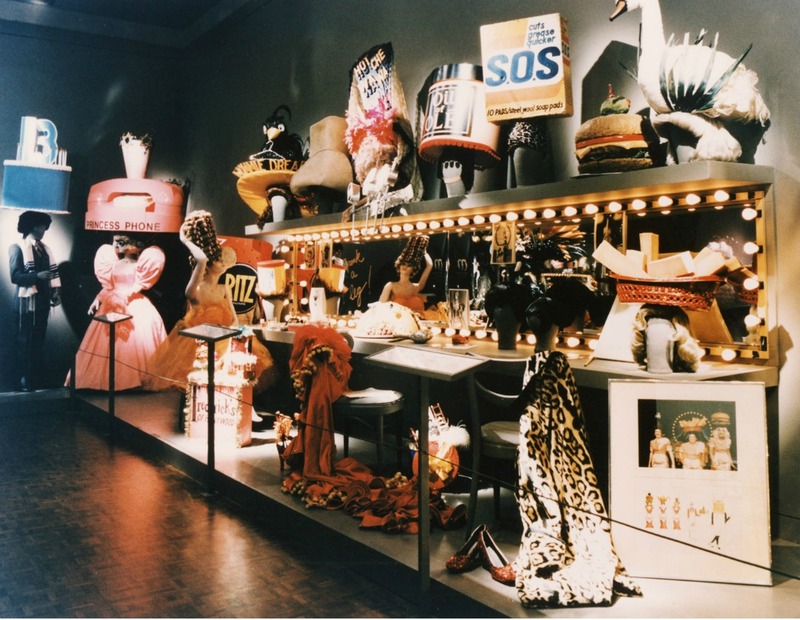 The costumes here are more than just clothes, they’re works of art, in fact, the de Young Museum presented an exhibition in 1988 “Beach Blanket Babylon – 15 Years of Hats and Costumes”. How I would have loved to have seen that! So thanks to Heather, we find ourselves in the heart of San Francisco’s North Beach on a Wednesday night. The theatre is easy to find on Beach Blanket Babylon Boulevard – yes, a show that’s so good, it even has a street named after it! Seating at Club Fugazi is unreserved so it’s a good idea to arrive early and grab the best seat available. You can kick back and relax and enjoy some liquid refreshment while you wait for the show to start, there’s table service and reasonably priced wine, beer and soft drinks available. 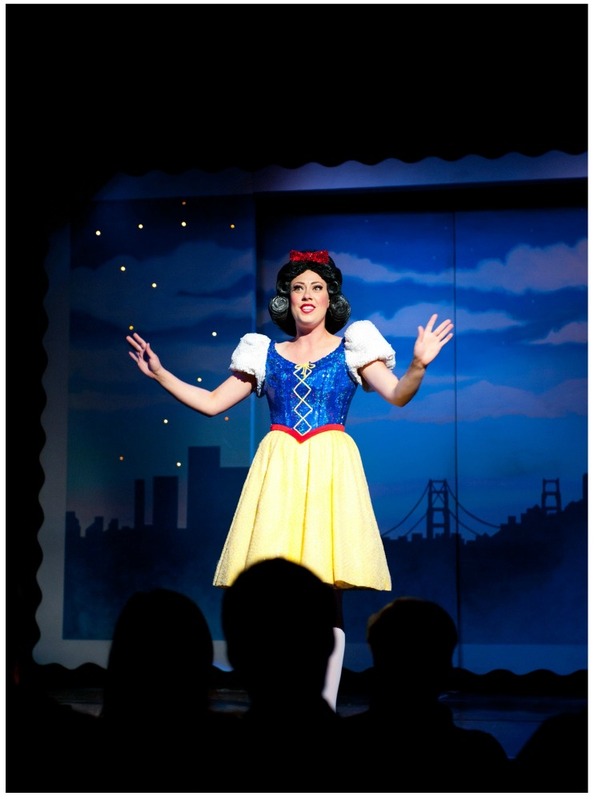 When the curtain rises, we follow Snow White as she travels around the world looking for her Prince Charming. Along the way she meets a star studded (and continually changing line up of characters) – it’s like a who’s who of pop culture with everyone from Donald and Melania Trump to Vladimir Putin, Lady Gaga to Wonder Woman and Prince Harry and Megan to the Golden State Warriors. 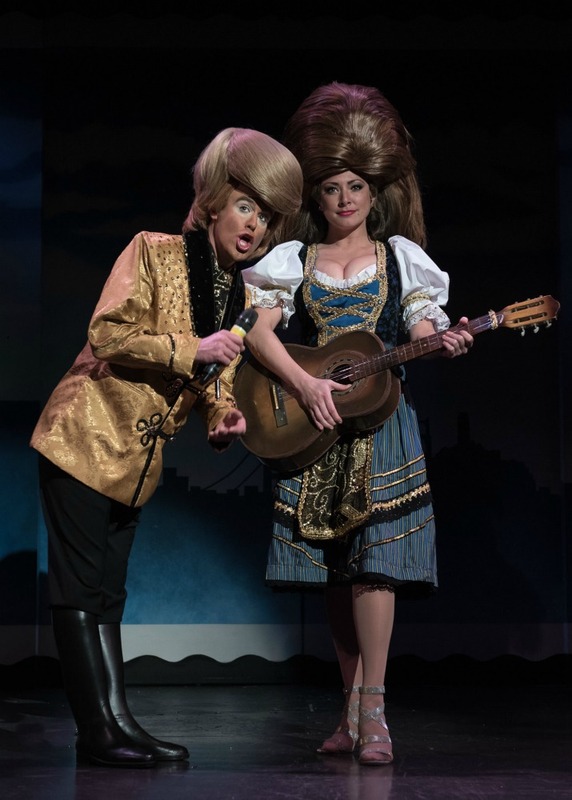 If you’re not sure what to expect – think adult humour, San Francisco satire, Trump-centric jokes, hilarious costumes, extravagant enormohats and a lot of laughs. 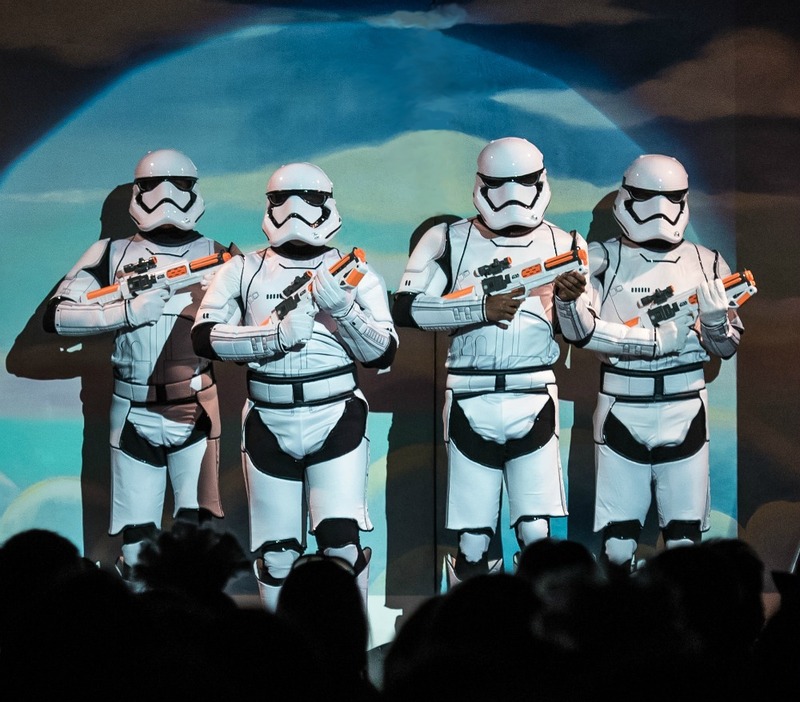 The show lasts for 90 minutes without an interval and you’ll definitely be wanting an encore! The humour is very adult so there’s a 21 and over age restriction on evening performances. Sunday afternoon shows are more family friendly. Steve Silver died in 1995 but he left San Francisco and the audiences of Beach Blanket Babylon an incredible legacy. I think the show continues to delight audiences not only because it stays true to Steve Silver’s trademark creativity and zany sense of humour but because it allows current events to mould and shape the show with humour… And of course, enormohats! I can’t wait until next time! We were guests of Beach Blanket Babylon but all opinions are honest and my own.